The opportunity to explore and observe will be at the forefront of this voyage with experiencing the panoramic and the intimate; the majestic vista of the world's largest glacier and a young Adelie penguin taking its first ocean dip. For travellers the natural world beckons and rewards with rare whale sightings and abundant birdlife. On board Akademik Shokalskiy navigating through Mawson's Legacy, East Antarctica will open up explorers to a diverse world of expedition possibilities. • Journey from New Zealand via the 'stepping stones' of the rugged and wild Subantarctic Islands; The Snares, Auckland Island and Australia's jewel in the Southern Ocean: Macquarie Island breaking up the long journey and introducing guests to nesting seabirds, seals and rare flora – the islands' rich biodiversity paving the way to the whole Antarctic experience. • Wildlife encounters- from nesting albatross and rowdy penguin rookeries to lazing seals and sea lions. • Crossing the Antarctic Circle, where the sun stays above the horizon- anticipation will run high as guests move closer to Mawson's Antarctica. • Pelagic birdlife wheels overhead on the journey south as Akademik Shokalskiy cruises past astounding ice formations allowing travellers to marvel at Mertz Glacier's ice tongue. 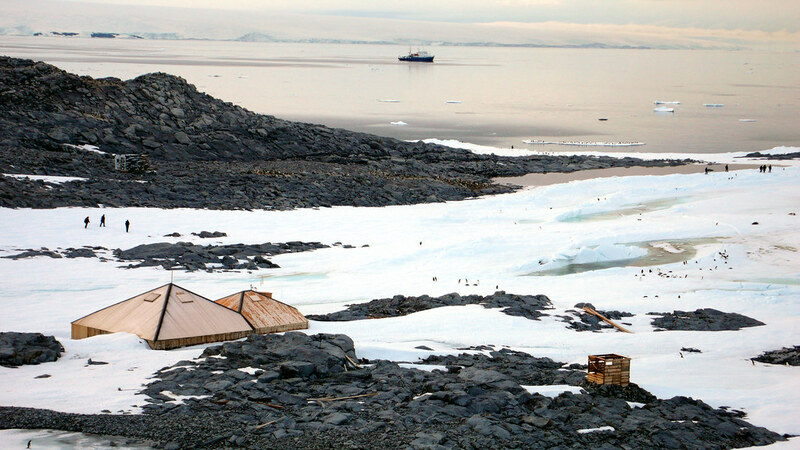 • Exploring the location of Mawson's Hut, where the expedition team plans to visit the far eastern sector of the Australian Antarctic Territory. Whilst visiting the hut is high on the wish list travellers are reminded that landings in this area are determined by the effects of katabatic wind and ice. Mawson was very much one for science and knowledge, but realised the need to push the boundaries of endurance to achieve this goal, the experienced crew will be monitoring conditions closely so the group might achieve this goal, and follow in the footsteps of this legendary explorer. Wild Earth Travel is the Australasian specialist in small ship and expedition cruising, with more options and expertise we provide a world of opportunities and experience ensuring that travellers have the voyage of a lifetime. Indulge in the advantages of small ship travel, explore with like-minded travellers, relax and savour all within a personal, intimate and safe setting. Take advantage of the opportunity to learn on board and ashore through the expedition teams and guides, really see and experience the very best of every destination.